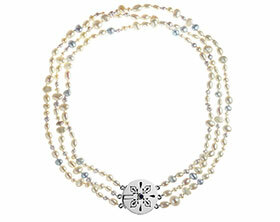 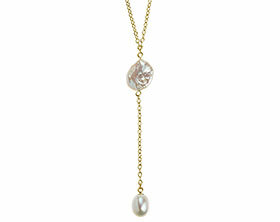 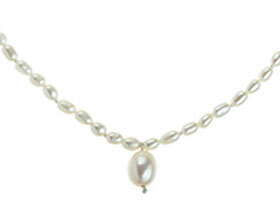 This necklace is on a sterling silver trace chain and features two different kinds of pearls, a baroque coin pearl and a smooth drop pearl. 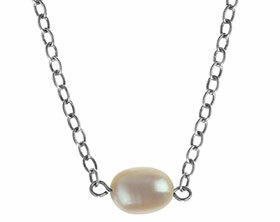 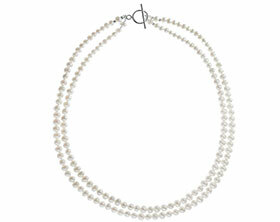 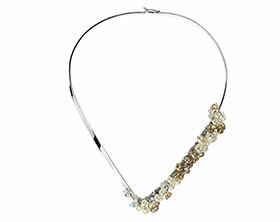 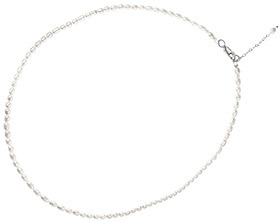 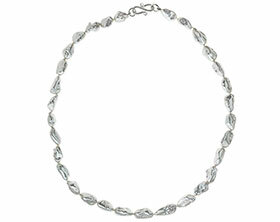 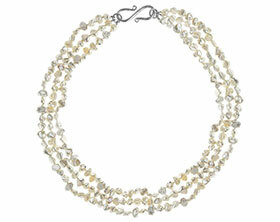 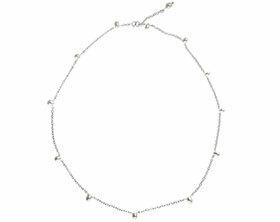 The sterling silver chain measures 18 inches in length and has a drop of 2 ½ inches. 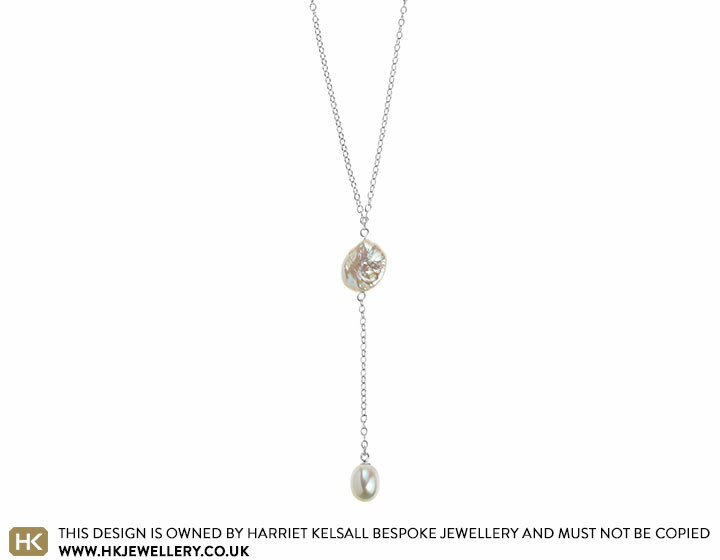 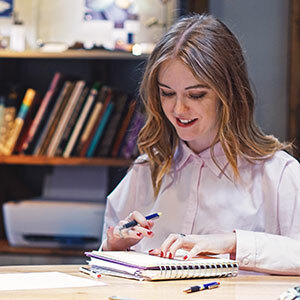 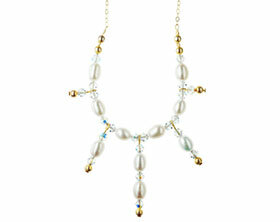 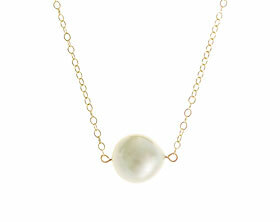 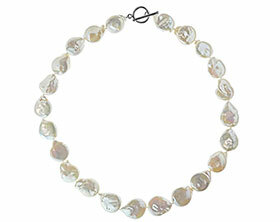 The different types of pearl enhance this otherwise simple design and create a versatile necklace that can be worn on any occasion.